Composed for the Domaine Musical series directed by Pierre Boulez, Oiseaux exotiques (1955–56) is a key work in Messiaen’s development. Access to Messiaen’s sketches allows the authors to discuss Messiaen’s compositional methods in unprecedented detail. A generous number of music examples refer to the birdsong recordings actually used by Messiaen (which can be heard on the accompanying CD), and trace step-by-step the evolution of musical ideas from first sketch to finished score. A fascinating account of the work’s reception history includes a comparison of recorded interpretations, including the historic premiere, with Yvonne Loriod as soloist, which can be heard in full on the CD. 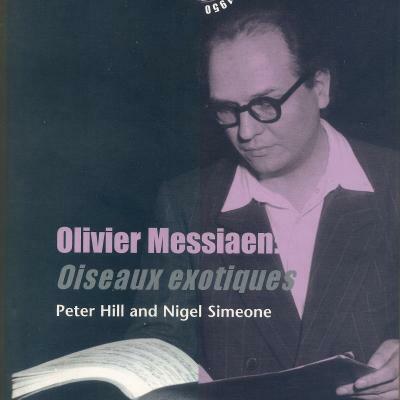 The final chapter considers the implication of Oiseaux exotiques for Messiaen’s later music.